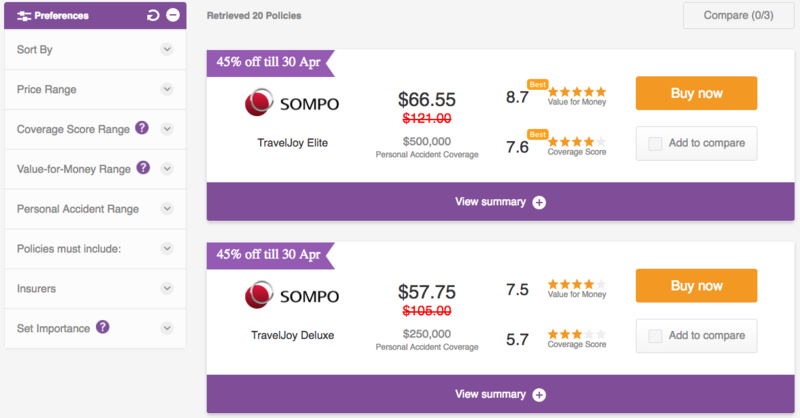 Every Singaporean would have to agree, dealing with insurance agents is not the easiest thing in the world. It starts off easy when agents are sharing about basic policies, but after they start going into the details it gets tougher keep up. Things invariably get worse when they start introducing deceptively similar, but apparently vastly different policies. And yet we can’t cut out insurance agents altogether. Who’d help us make sense of all the jargon being tossed about? That’s where Insurance Market comes in. Insurance Market is a Fintech startup, an insurance broker regulated by the Monetary Authority of Singapore (MAS). 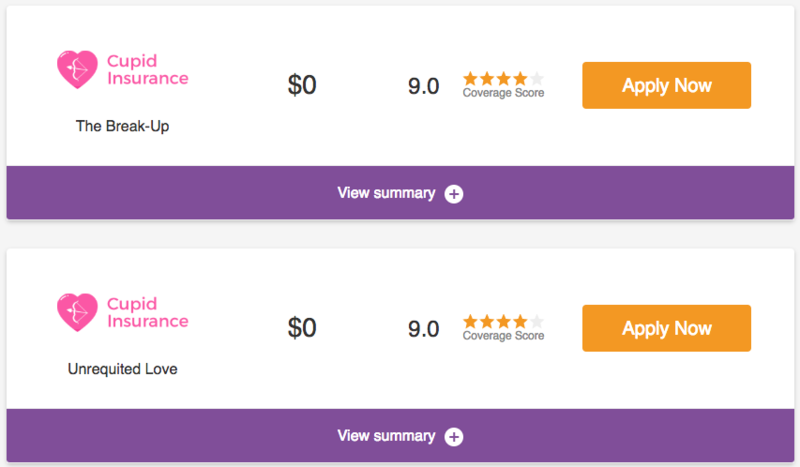 The website is a platform for users to “Filter, Compare and Buy” insurance policies entirely within minutes, without the need for an agent. Accounts are free, and in the member area, users can select from the type of policies available ranging from travel to home. As of the moment, they do not carry insurance for hospitalisation or fatal injuries. Members can filters through the bank of policies based on their personal needs, and the system’s algorithm will generate suitable policies for comparison. No fuss, and no hassle of having to deal with hard-selling agents. Members will be able to manage policies and claims entirely via the platform with ease via their personalised dashboards. What is outstanding about Insurance Market is how the policies’ wordings are also broken down into language the layman can understand. This aspect is especially exciting because it means that policy holders will no longer have to go through lengthy discussions with their agents. Insurance Market thus becomes a platform accessible to everyone and anyone. For any queries, they also have an FAQ section for the different policy types. For this Valentine’s Day, the startup is also unveiling a special campaign – the Broken Hearts Insurance (BHI). Policy holders who find themselves heartbroken on Valentine’s 2017 can submit their “heartbreak story” via their account anytime between 12pm-6pm on Valentine’s. The first 150 qualifiers will be given a special Valentine’s Day gift of a pair of movie tickets that the team hopes will return the smiles to their faces. Overall, this campaign is aimed at becoming a channel to educate people about their insurance needs as well as how they can buy insurance more efficiently. 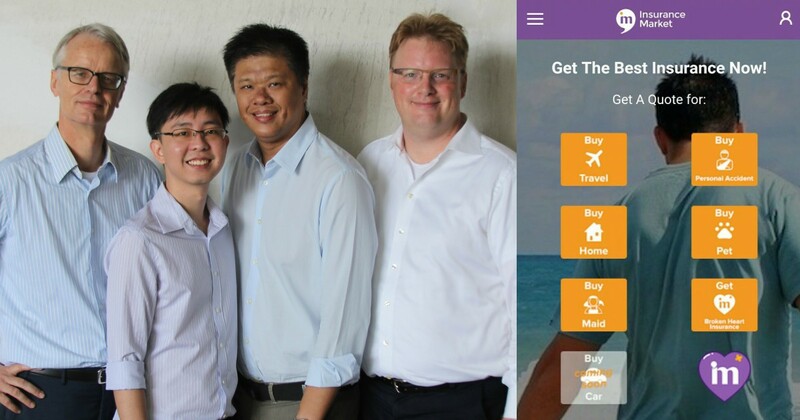 According to CEO Otbert de Jong, the central aim of Insurance Market.sg is to “drive the point that buying online is the most effective way.” He likens this how people can now conveniently plan for their travels independently. Increasingly, we are seeing the rise of startup that are seeking to disrupt the status quo of things from property market to how people by insurance. It is always difficult for traditional sellers to compete with these newer businesses, especially so if these newer competitors are able to cut out more unattractive aspects (see hard-selling). However that is simply the reality of today, and agents simply have to adapt by leveraging on their ability to build a strong rapport with clients. While the insurance industry still sees the main bulk of its policies being sold traditionally, perhaps this Fintech startup is about to shake things up in their home ground.